Who is at Fault in a Crash if the Pedestrian Has Right of Way? Who is at Fault in a Pedestrian Car Accident if the Pedestrian Has Right of Way? Right of way is a concept that is confusing to many non-lawyers. As written in the Texas Vehicles and Traffic Code, you do not “have” right of way. Instead, there are various situations where a driver might be required to yield the right of way to another person. 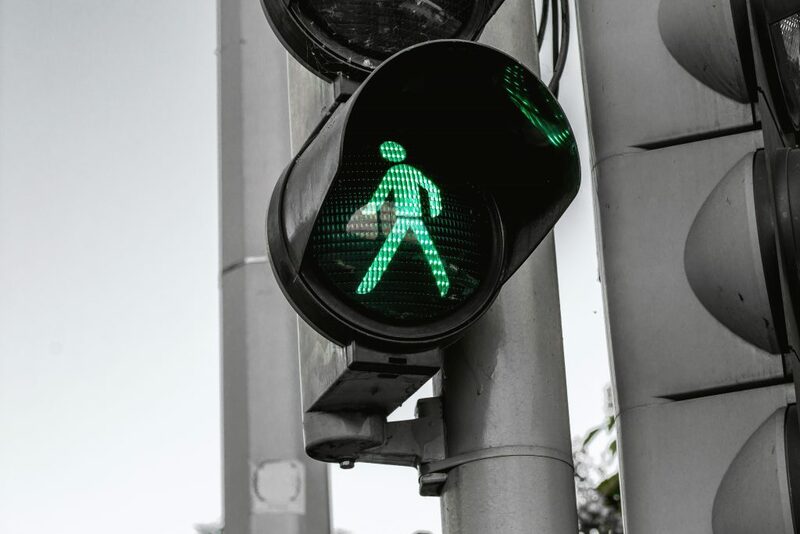 Texas law has multiple situations where drivers must yield to pedestrians, and many Texas pedestrian car accident cases create clear-cut rules regarding who is at fault in a pedestrian car accident. However, many cases are confusing, and seemingly conflicting rules could make it harder to determine who is at fault. The Dallas car accident lawyers at The Queenan Law Firm explain. Do Pedestrians Have the Right of Way in Texas? Many people believe that pedestrians have the right of way in all situations. Some people may even boldly cross lanes of traffic, forcing cars to stop. In many situations, cars are legally required to yield to pedestrians. This is a clear rule designed to increase safety for pedestrians. However, many drivers misunderstand these rules and might hit pedestrians or cause car crashes while trying to let pedestrians cross illegally. Any time a pedestrian is crossing in a crosswalk, all cars are required to yield to them. Cars may continue to cross through the crosswalk if the pedestrian is in the other lane, but in many situations, common sense says it is safer to stop completely. If there is a traffic light for pedestrians saying when they should and should not cross, pedestrians must obey these traffic lights. Cars actually do not have a duty to yield to pedestrians if the pedestrian crosses against the signal, so pedestrians should wait and remain safe. Similarly, drivers may also have no duty to yield to pedestrians who cross in unmarked crosswalks or cross in the middle of a street. Regardless of whether the pedestrian had the right of way or not, cars are often in a better position to prevent accidents. If the car is driving at the proper speed limit and staying alert, there is little reason they would not be able to stop for a surprise pedestrian or a pedestrian crossing at an unmarked corner. In any case, it is illegal to hit someone with your car, so pedestrians often have the upper hand in pedestrian car accident claims. The traffic laws involving pedestrian right of way merely work as a starting point for determining fault in a car crash. Even if you were jaywalking or crossing at a bad location, you may still be able to prove that the driver who injured you was primarily at fault for the crash. You suffered injuries and other damages the court can compensate you for. Right of way is only a part of determining the duties involved in a pedestrian accident case. While you might have crossed against the light, this does not change other duties that the driver might owe you, such as the duty to drive under the speed limit, the duty not to text while driving, and the duty not to drive under the influence of drugs or alcohol. If the driver was violating additional laws, they may be more at fault in the case than you are. The concept of comparing each party’s fault in the case is ingrained in Texas law. Texas is a “modified comparative fault” state. This means that during a lawsuit, the jury assigns a portion of the blame to each party, including the victim. As long as the victim shares no more than half the blame in causing the car accident, they can still recover compensation. The damages they receive will be reduced by the percentage of fault they share, but the victim can still receive compensation for an accident. For example, if the driver was speeding and ran a red light, but the pedestrian started crossing before the “do not walk” light changed, the court may find the driver was 90% liable and the pedestrian was 10% liable. If the damages were $100,000, the victim will still receive $90,000 in damages in this example. In case is handled through insurance, the insurance companies may not be willing to admit fault or pay full damages under these shared liability rules. It is important to take your case to a personal injury attorney who can help you understand what your case is worth. If you or a loved one was injured in a car accident while walking the streets of Dallas, talk to our Dallas personal injury lawyers at The Queenan Law Firm today. Our attorneys have decades of experience handling personal injury cases and fighting to get our clients the compensation they need to support themselves and their families. To schedule a free consultation on your case, call (817) 719-8082 today.